1. I’ve decided to get more into photography — not in any major way, just to practise a bit and see how well I can do. 2. 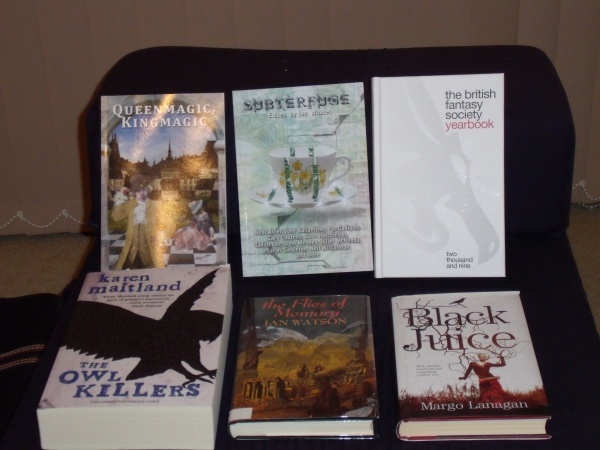 Yesterday, I returned from FantasyCon with… er… ‘a few’ books in tow. 3. 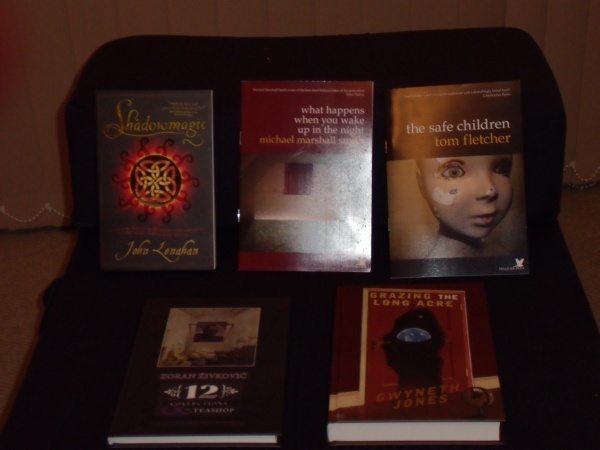 I’ve seen other bloggers do ‘books received’ posts, but never done any like that myself. Damn! And I’d thought of sending you my short story collection. 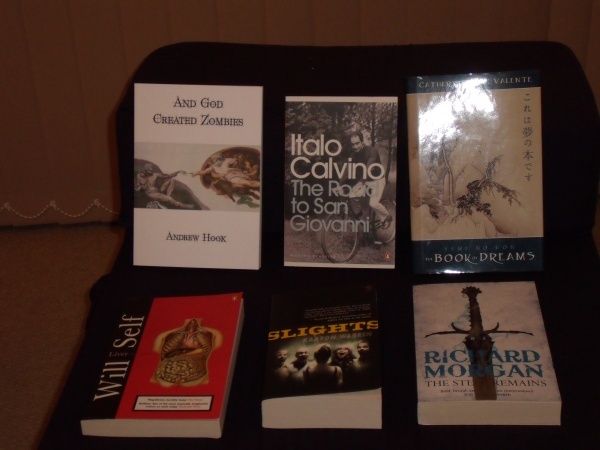 Broken Symmetries, to give you something to read before Christmas… But NO WAY can I come near to comnpeting with Richard Morgan and Calvino.